It’s the day before Hurricane Irene is forecasted to slam into Long Island. I took advantage of the calm before the storm to give my plants a little pep talk. I wanted to prepare them for what Jim Cantore and the folks at the Weather Channel said we could expect. I wanted to encourage them to stand strong against the wind and the rain, that we would get through this together, and to rest easy that sunny skies will return. 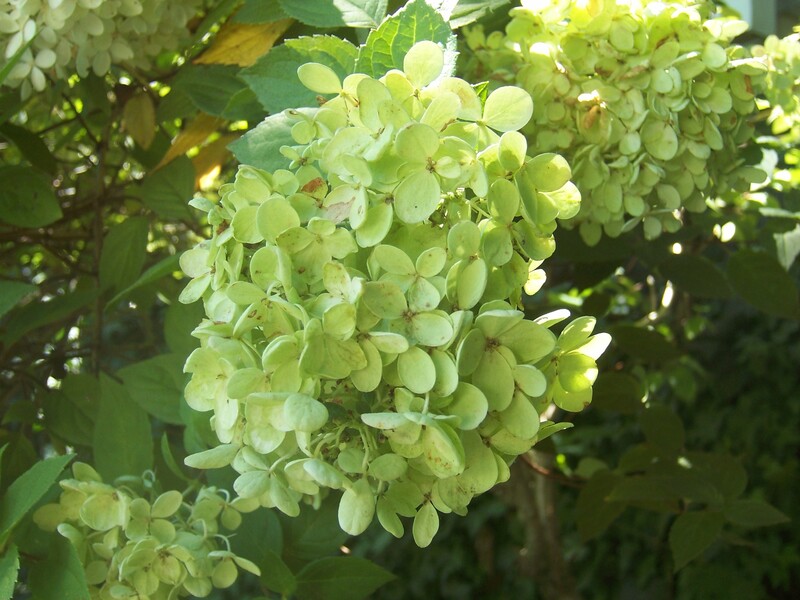 I was especially impressed with the Hydrangeas, all of which put on an outstanding show this summer. That’s why they were featured so heavily in many of the “Bloomin’ Update” posts. 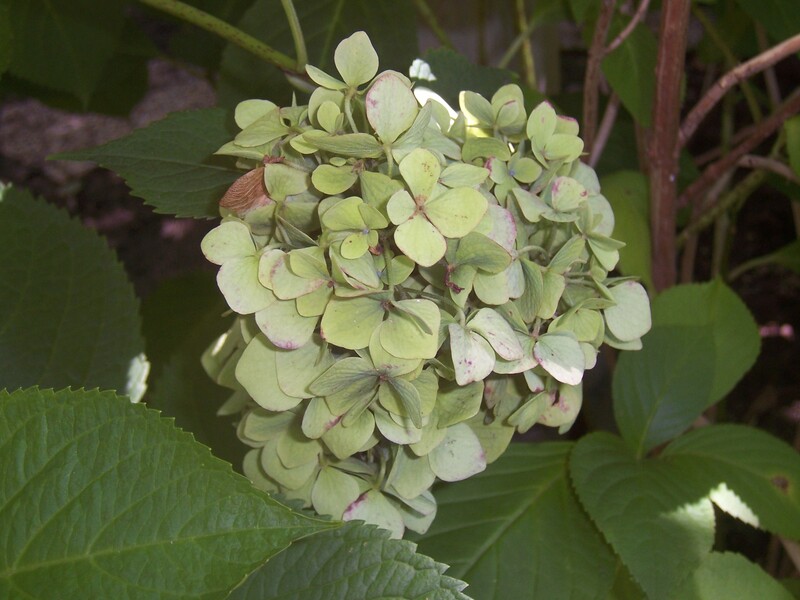 Hydrangeas are my favorite flowering shrub. I love the fullness of their blooms, the variety of their colors, the look and the feel they bring to the landscape, and the length of time they hold onto the stem until their glory fades away. 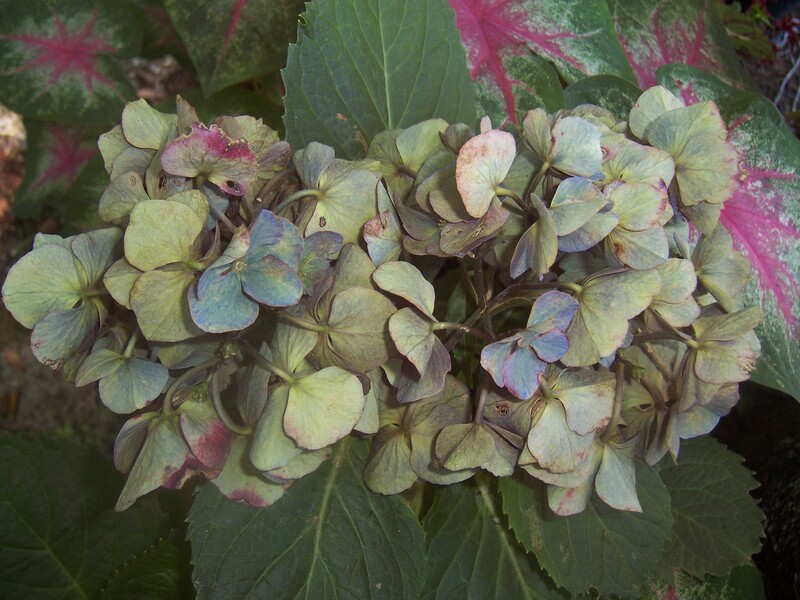 Now, in the waning days of summer with a hurricane breathing down our necks, I offer you a last look at some of my Hydrangeas, their vibrant colors now antiqued and slightly withered. We should all be fortunate enough to age this gracefully. 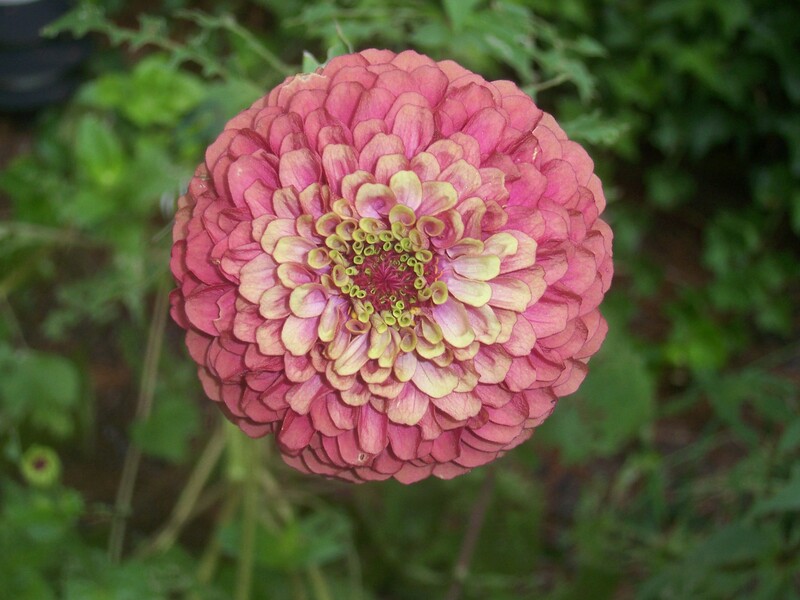 I know this post is about Hydrangeas, and this is a Zinnia -- but with Hurricane Irene on its way, there wasn't enough time to argue with a flower that wanted a moment in the spotlight. For anyone dealing with the hurricane, please stay safe. Like I told my plants, we’ll get through this together and sunny skies are around the corner. At least that’s what Jim Cantore keeps saying. Thanks. It’s about 12:30 p.m. now, and we are having our first rain band — serves that Zinnia for having a ‘tude. Your hydrangeas look lovely. It is so nice you have this record to remember them in their beauty should Irene decide to pommel them. We are also bracing for Irene…guess we have done everything we can…now, we wait. A mere breeze would be so nice. Stay safe!!! Thank you. We’ve prepared for the worst and praying for the best. Take care! 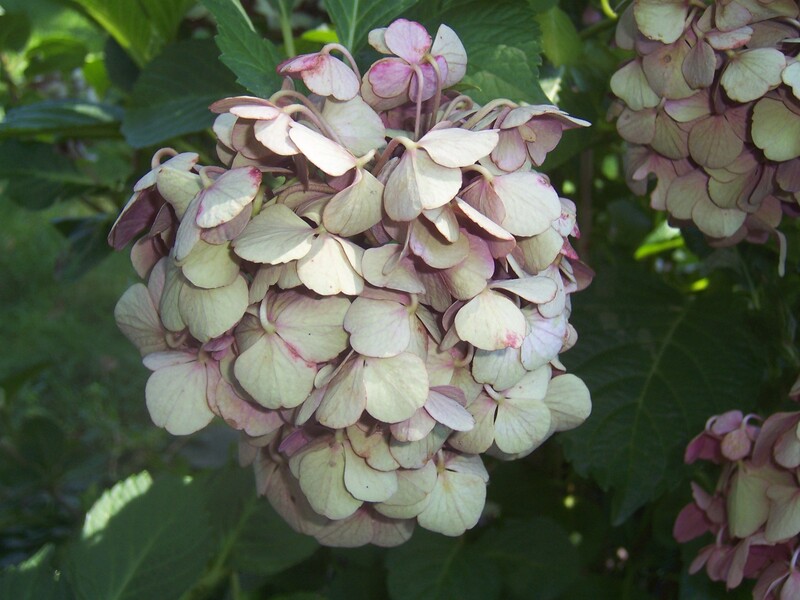 These hydrangeas are surely sulking? Hi Catharine. Right now, they’re soaking wet. Hurricane Irene is beginning to water them — REALLY water them. Thanks for commenting. 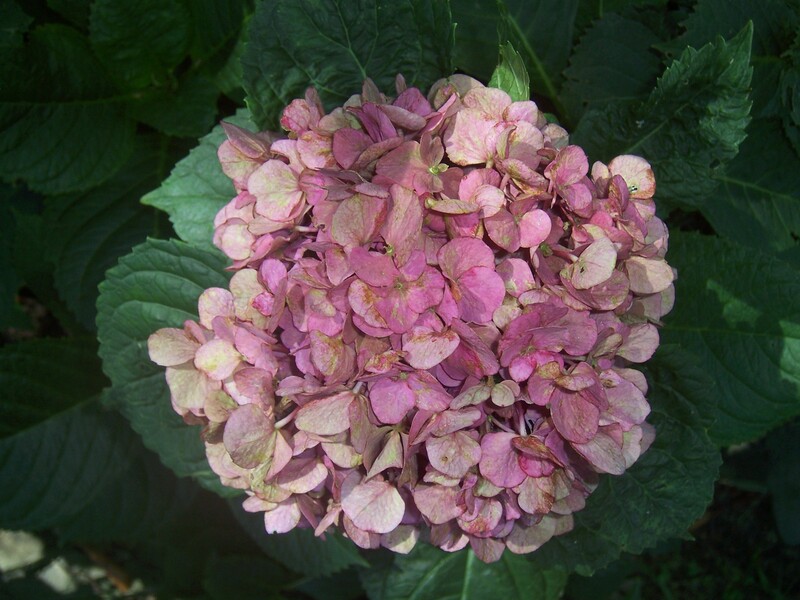 I like the slightly withered antiqued colour of your hydrangea blooms. Great phtos. hope hurricane Irene was not too bad. Thanks. 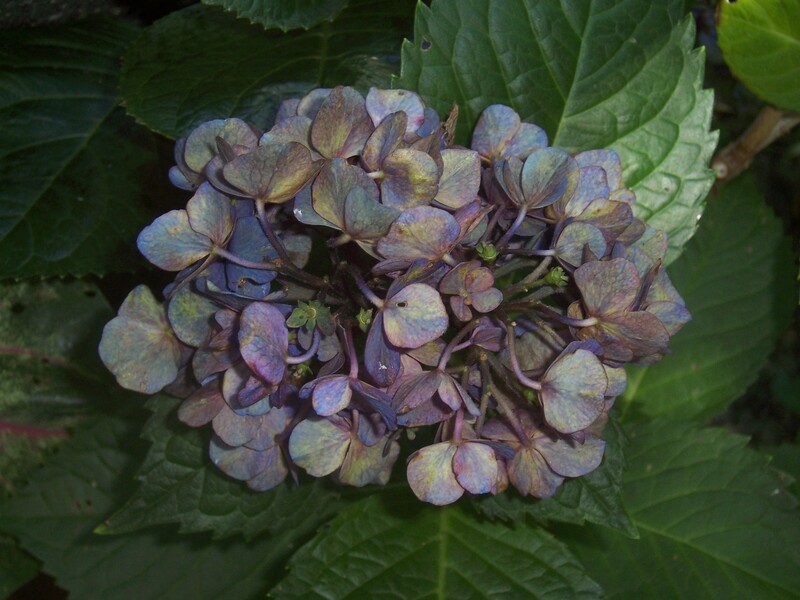 I love the way Hydrangea’s fade from their summer color. Right now, everything looks very wind-blown. It was a long day, but we never lost power and not one tree came down. Sadly, neighbors and other communities were not so lucky. There are trees blocking roads, large areas without power, and coastal towns that flooded. Tomorrow promises to be sunny and gorgeous — perfect clean-up weather. Hello and thanks for stopping by. It has been a wild weather year. I keep debating in my head if it’s a result of climate change or just a natural occurence. Hopefully the world will settle down for all of us. Be well! Your flowers are beautiful! Hopefully all is getting back to normal for you after the storm. I have relatives in the D.C. area so I was watching it pretty close. Love your blog! Hi — and thanks for visiting and for your kind words. Irene is long gone, but now the area is dealing with the remnants of Lee. Fortunately, Long Island has not suffered the flooding that New Jersey has, but we haven’t seen the sun in days. We may get a change for the better over the weekend. Cheers! The hydrangeas and zinnia are gorgeous. My zinnias took quite a beating from that storm. I feel like it was a premature end to their beautiful lives. Hi Paprika! Glad you found me and thanks for commenting! Sorry to hear about your zinnias. In my yard, Irene had her way with my sunflowers — and they were not pleased. It’s always sad for me when the summer blooms fade — because I know what’s coming: darkness and cold. Waaaah.